Mantine in game: 460 Who? Important notice! Pokemon Mantine is a fictional character of humans. Mantine is a large, manta ray-like Pokémon with wide fins and two ring-shaped marks on its back. Its back is a dark blue with a jagged outline on its wings. It has a streamer-like tail and long "antennae". Two pairs of gills are visible on its gray underside, as well as a pair of beady eyes and a small mouth. Generally, it is pictured with a Remoraid attached to the underside of one wing, much like a cleaner fish. 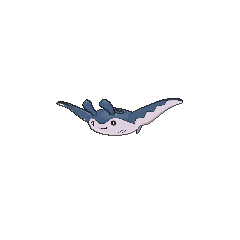 Mantine can fly in the air if it builds up enough speed, in a similar manner to how real-life manta rays breach the surface, and can soar gracefully out of the water. Mantine is mostly docile. It thrives in open seas. In Just Add Water, Mantine appeared under the ownership of Dorian, owner of the unofficial Coastline Gym. 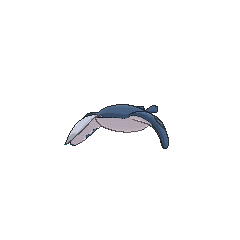 A Mantine appeared in The Road to Humilau! under the ownership of Marlon, where it battled Cameron's Ferrothorn and beat it, but later lost to Cameron's Samurott. Mantine first appeared as an illusionary Pokémon in Spell of the Unown: Entei. Molly Hale used it against Misty's Staryu. Mantine was used by a girl named Luka that was searching for the Silver Wing in Mantine Overboard!. Brock's mother, Lola, owns a Mantine which was used in her battle against Brock's Onix in A Family That Battles Together Stays Together!. In Pokémon Ranger and the Temple of the Sea, Jack Walker uses his Capture Styler on one of these Kite Pokémon so it can help Jack get away from The Phantom during the beginning of the movie. Multiple Mantine also appeared in the same movie. In Steamboat Willies!, a Mantine which belongs to the owner of a ship helped Ash and Dawn saving the ship from falling off a waterfall. This Mantine was bigger than usual. A Mantine along with two Chinchou escorted Latias over to Ash and his friends' boat in Pokémon Heroes: Latios & Latias. Also, another one competed in the Tour de Alto Mare. A Mantine appeared in the opening of Destiny Deoxys and Zoroark: Master of Illusions. Multiple Mantine made brief cameos in Giratina and the Sky Warrior. 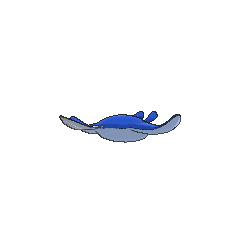 A Mantine appeared in a flashback in Bucking the Treasure Trend! where Buck used it to swim underwater. A Mantine appeared in one of the aquarium tanks in Going for the Gold!. EP214 Mantine Ash's Pokédex Mantine, the Kite Pokémon. 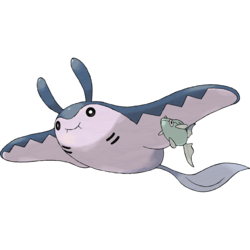 Mantine swims about the ocean, majestically, and may fly out of the water if it builds up enough speed. Gold catches a Mantine and names it Tibo as he floats in the sea in Lively Lugia II, which helps him in his attempt to defeat Lugia, powered by the Remoraid Gold received for flight transport. In The Last Battle XIII a Mantine was one of the Pokémon sent to help the fight in Ilex Forest. 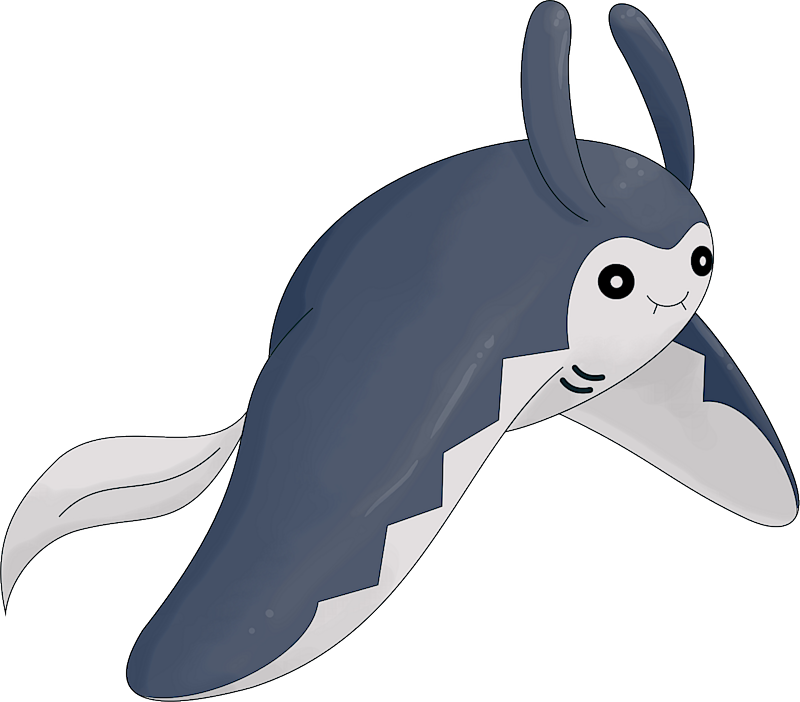 Mantine is seen as one of the Pokémon swimming in the headquarters of Team Aqua. Noland later gives Emerald one of his Mantine from the Battle Factory. Mantine can be seen as a parallel to Skarmory. Both of them are Flying-type Generation II Pokémon. Mantine is exclusive to Pokémon Gold and HeartGold, while Skarmory is exclusive to Pokémon Silver and SoulSilver. Furthermore, neither of the two had any evolutions in Gold and Silver. 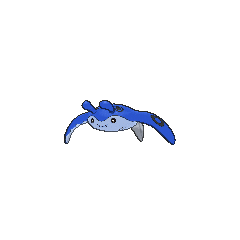 Mantine may be a combination of manta and marine. It may also be a combination of manta and either brine or Tyne (pronounced tain). Mandarin Chinese 巨翅飛魚 / 巨翅飞鱼 Jùchìfēiyú Literally "Giant winged flying fish"